Joyce Beard Dowless, age 82, of Bladenboro went home to be with the Lord on Wednesday, September 26, 2018. She is preceded in death by her parents: Daniel and Annie Hester Beard, husband Jayford Dowless, and one sister, Doris Ann Allen. 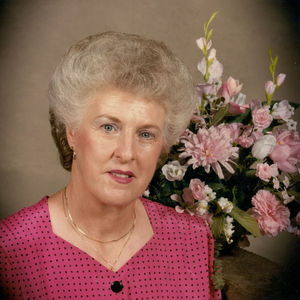 Joyce leaves behind three sons: Garry M. Dowless (Lauren) of Seymour, TX; Danny J. Dowless (Brittney) of Dublin; and Greg N. Dowless (Angie) of Elizabethtown; one daughter: Kim Roberts (Doug) of Tar Heel; one brother: Daniel Lymon Beard II; two sisters: Faye Allen of Bladenboro, Jeanette Bryan (Harris) of Florence, SC; twelve grandchildren: Donnie Williamson, Stephanie Williamson, Danielle Bordeaux, Colt Dowless, Luke Dowless, Ella Dowless, Amanda Dowless, Jake Dowless, Brittany Dowless, Clint Dowless, Mitch Dowless, and Preston Dowless and eleven great grandchildren: Madison Williamson, Cameron Williamson, Hayslee Williamson, Danica Bordeaux, Ryker Dowless, Rylie Dowless, Jeslyn Dowless, Bella Dowless, Ariel Dowless, Kaleb Dowless, and Ciara Dowless. Joyce was a wonderful wife, mother, and grandmother. She loved her family a great deal. Joyce was loved by all and will be dearly missed. The family will receive friends from 6-8 pm on Friday, October 5, 2018 at Bladen Gaskins Funeral Home in Elizabethtown. A funeral service will be held at 11:00 am on Saturday, October 6, 2018 at Bethel Baptist Church in Dublin with Rev. Warren Hill officiating. Burial will follow the services in the Allen Cemetery.